The Ministry of Health of Ukraine has approved the preliminary register of medicines, which cost will be reimbursed. The ministry order dated July 23 has been posted on the ministry's website. The updated list contains 261 medicines from 49 pharmaceutical manufacturers: 18 Ukrainian and 28 foreign ones. The ministry said that at present, the number of medicines, which cost will be fully reimbursed using budget funds, is being specified. "Some 35 medicines have been placed to this list. Thirty more medicines could be added to the list, if within five days some manufacturers review their price offers," the press service of the ministry said. As it was reported, in 2018 an additional mechanism was introduced for the formation of prices for medicines included in the Affordable Medicines program. 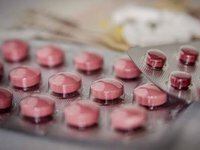 In particular, after the completion of accepting applications for participation in the program, pharmaceutical manufacturers, whose medicines cost did not exceed 5% of the lowest price offer for a daily dose, can reduce prices and add them to the list of fully refunded drugs within five working days. The previous register of Affordable Medicines contained 239 medicines, and the cost of 47 medicines was fully reimbursed from the national budget.